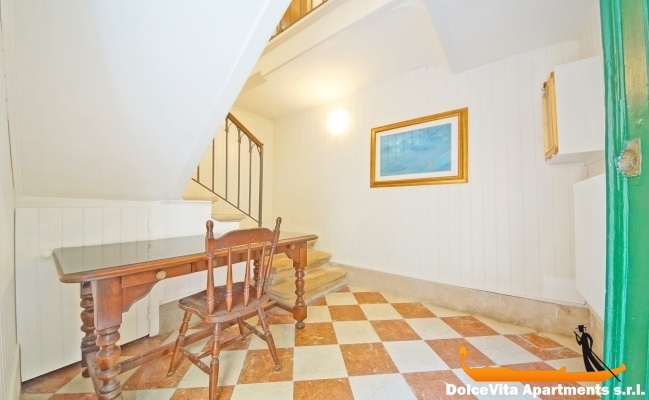 Apartment N. 197: It can accommodate up to 4 people, it is rented from 138 € per Night (not per person). 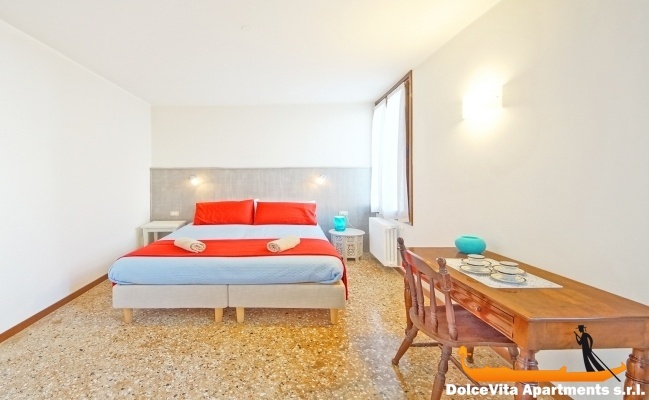 Holiday Venice Apartment Cannaregio for 4: Spacious and cozy apartment in the center of Venice, in Cannaregio district, consisting of 2 double bedrooms, 2 bathrooms with shower and large living area with kitchenette and a plasma TV. 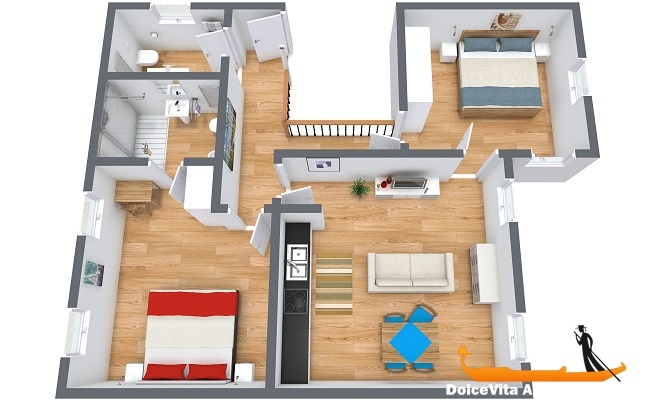 This apartment is on the first floor, just 10 minutes walking from St. Mark's Square and 8 minutes from Rialto Bridge. A few steps from the waterbus-stop “Fondamente Nove”, this house benefit from a most convenient position even for trips to the other islands of the lagoon. 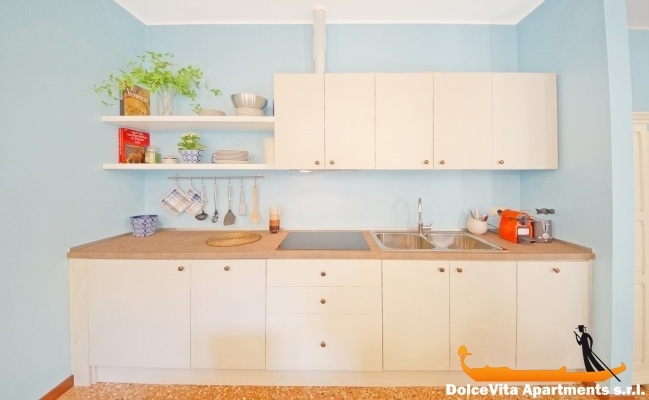 The kitchen is fully equipped and includes an espresso machine, toaster, refrigerator, microwave and refrigerator, also available Wi-Fi connection, air conditioning and heating. Suitable for both for a weekend or for longer stays, the apartment also has vacuum cleaner, dishwasher, washing machine and detergents. Towels, sheets and blankets are provided. The apartment was in a great location. Apartment was well worth the cost. Clean and neat. The apartment was fantastic all we could ask for. Spacious and very clean and convenient for the water buses. It was also local to restaurants and the bakery which we visited every day to purchase their fresh bread and cakes. As mentioned above it could lend to having a little more drawer space and access to more towels but this did cause us any inconvenience. The service was excellent and we were able to contact Giulio at all times if we needed him. He was very helpful and polite when we met on our arrival although we were rather tired from our mammoth journey across Europe. Again many thanks for making our stay in Venice a very enjoyable and memorable one. He was very helpful and polite when we met on our arrival although we were rather tired from our mammoth journey across Europe. Nothing was too much for him. 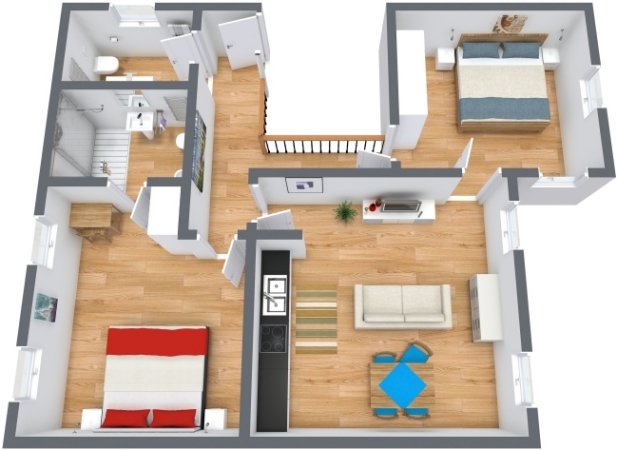 Very nice apartment, spacious, tastefully renovated, quiet and bright, well equipped! The service, welcome or answers to questions during the stay, is impeccable. The apartment is very functional and very pleasant. 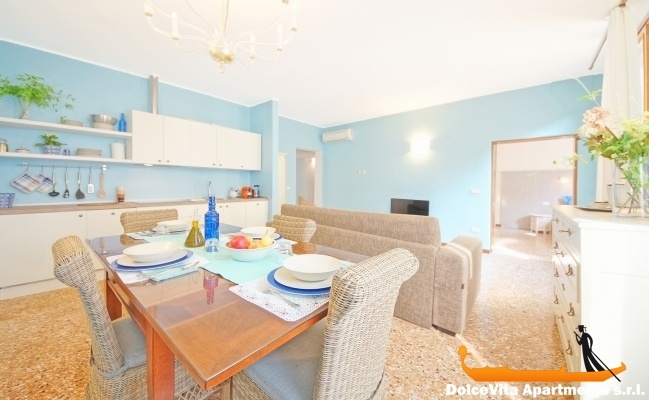 It is ideally placed to access to the means of transport that allow both, to join the Venice railway station and an easy seeing of the different sights of the lagoon. If we should go back to Venice we would book again this apartment. We could also recommend it to friends who would like to host in Venice. Apartment well located that has just been renovated, everything is new with good quality equipment: light, quiet, spacious and comfortable, new bedding, good wireless access, it corresponds to the video. Kind and attentive owner. Nice area, close shops, baker ... 50m. Family LANTIN. Very warm welcome from Giorgio that picked us up on arrival vaporetto; very clean, spacious and lovely apartment. It was super confortable !!!!!!! _ Just a little hard to find with all the little streets but we got used to it ... A great confidence and ease to deposit luggage on arrival and take it back later, the day of departure. Just renovated, spacious and very well maintained, very nice. Great service, it was all very simple and also reasonable price.